First I got my self in shape for 2 months for the part, found some old clothes around the house to use for the gear. Found a rubber chest, straps, buckles and a zipper to help make the vest. The Jacket was created using a old Dracula cape red linen and cutting it to fit as the inner linen for the jacket. Got a hold of some black gloves and some old school shades to set it up. But then came the hard part, the hair. This would have to be cut and worn for a week. If I mess up in the slightest, it will be all bad coming out and going dropping my kids off at school. 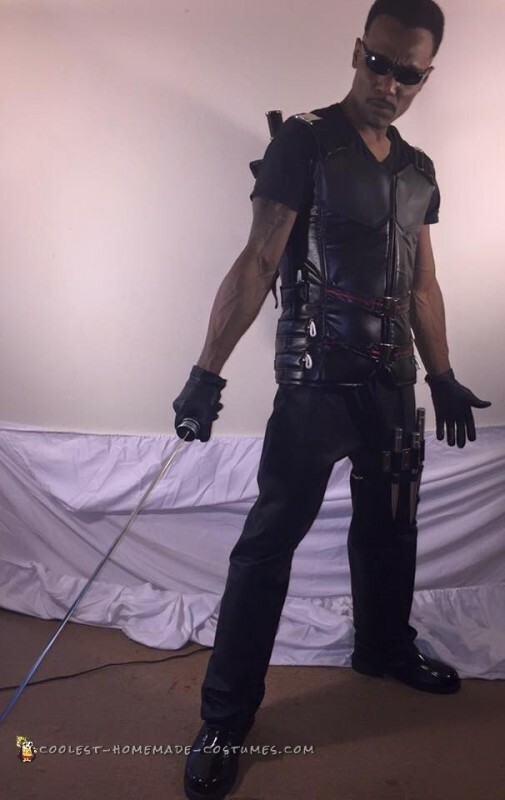 The cut took 2 hours, was a success and the weapons were acquired through eBay to finish off the costume. Once done, I hit the town and all I got was looks like they couldnt believe who was coming into the store. 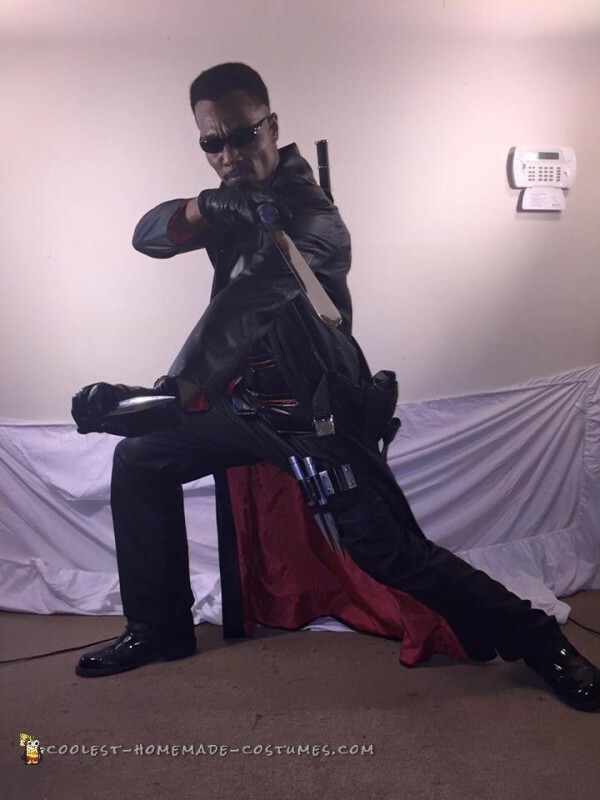 One person ask me if I was Blade. I said yes I’m dressing up for a costume contest around the corner. 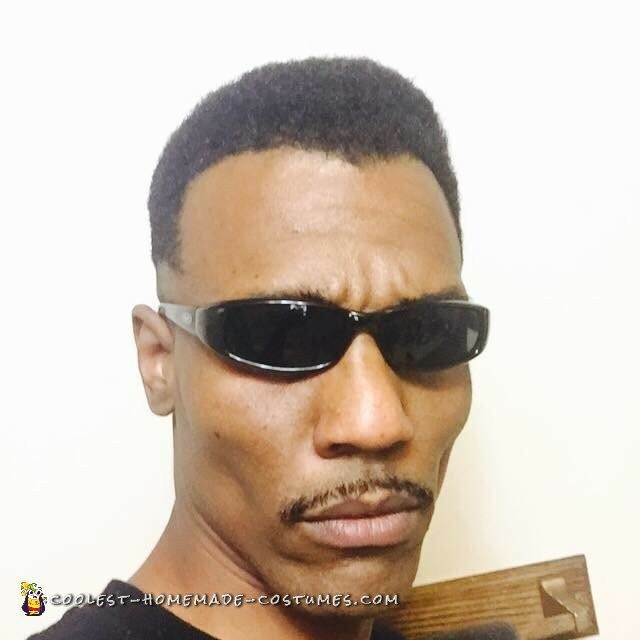 He was like, “No, are you Blade”. I just gave him a smirk and left in silence to my car. I arrived at the costume party for the contest and heads are turning left and right. 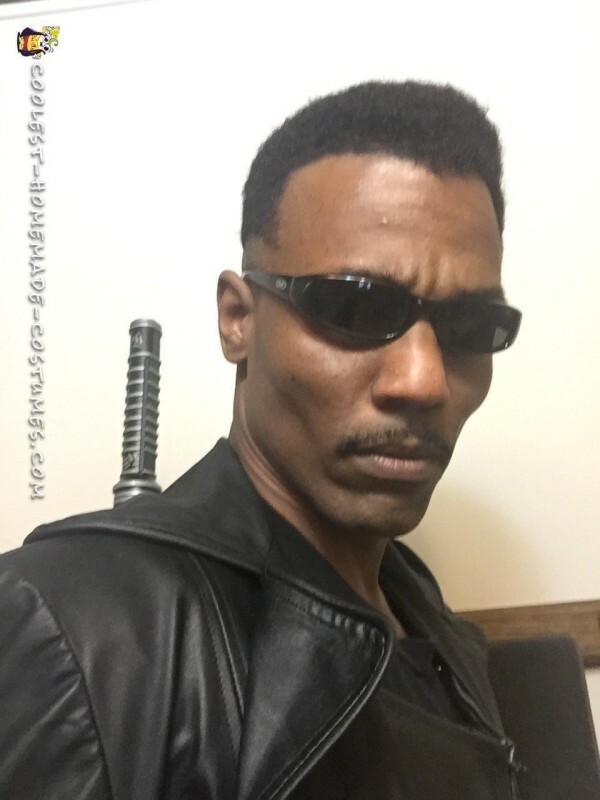 First I’m hearing, “Look its Wesley Snipes”, then Im hearing “oh no its his stunt double from the movie”, then its just “no fool thats Blade man”. I stepped up to register for the contest, Im getting photos and pics took before I step on the stage for the judging. Im getting cheers from all the people in the audience when my costume is picked out and voted on by the judges. 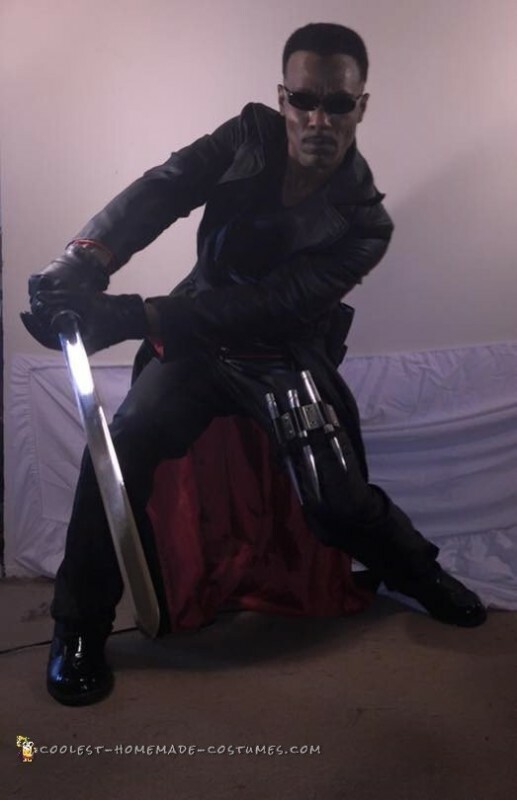 I still havent been told if I won yet, but as I was leaving the party that night to go trick or treating with my kids, the host told me you got this in the bag, Daywalker.